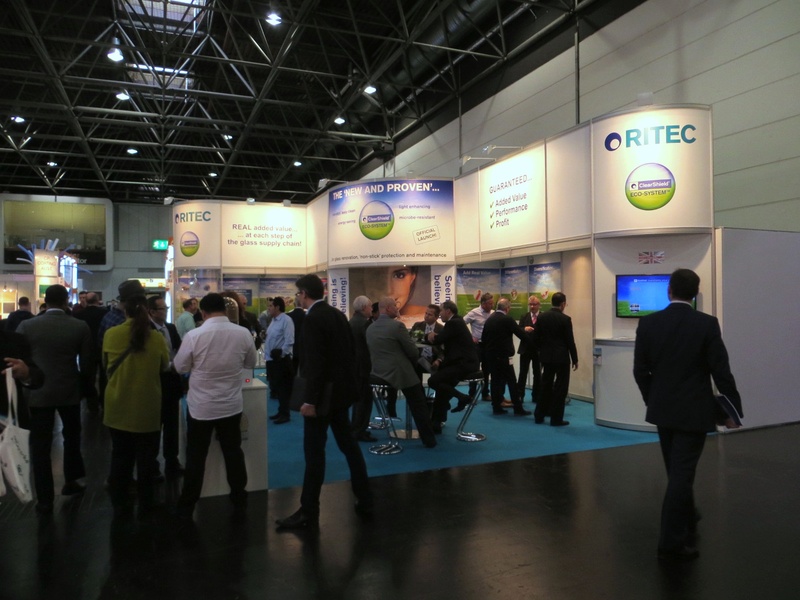 Just under a week since Glasstec – The world’s largest International Trade Fair for Glass Production, Processing and Products – and Ritec are delighted to report positive feedback, new leads and early business opportunities as a result of their presence at the show. Enjoying a busy four day event, Ritec demonstrated how the new ClearShield Eco-System™ for glass renovation, “non-stick” protection and maintenance gives glass companies the competitive edge by being the first and only technology with performance, added value and profit guaranteed at every step of the glass supply chain. As expected, interest from processors, fabricators, contractors, installers and shower companies was high. This year’s Glasstec saw the exhibition’s highest ever attendance with over 43,000 visitors in just four days. This interest was mirrored at Ritec’s stand where the added value of the new ClearShield Eco-System™ was demonstrated. This resulted in substantial attention and positive feedback from visitors which far exceeded all predictions. Visitors were shown how the ClearShield Eco-System™ transforms new or old glass into a higher value product with low-maintenance performance, resulting in diversification leading to higher sales. Furthermore, the ClearShield Eco-System™ helps maintain the original ‘A’ Window Energy Rating (WER), allowing glass to uphold its optical clarity and light transmission over the life of the window. Customers do not have to stock a new type of glass as Ritec’s simple added-value package enables unprotected glass to be upgraded into ClearShield Eco-Glass™ in the factory. In addition, Ritec continued its search for new marketing partners across the globe. Ritec’s flexible marketing partner programme enables its clients to jump-start sales, and provides detailed training ensuring partners meet their customers’ needs in the protection, maintenance and renovation of hard surfaces. Great news! 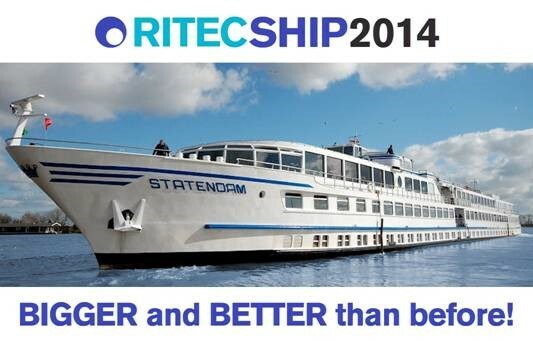 Ritec have a bigger and better ship for Glasstec 2014! A swap had to be made because ‘MS Da Vinci’ has been taken out of service until end of this year. The replacement ship, ‘MPS Statendam’, is one of the biggest river cruise vessels in the Dutch fleet. It has more facilities of benefit to guests staying on board and others visiting for evening Happy Hours. The convenient mooring location on the River Rhein means the Ritec Ship is just a short walk to the restaurants and bars in the bustling Altstadt (Old Town), the heart of Düsseldorf’s nightlife. Don’t miss the boat! For more information, visit http://www.ritec.co.uk. For reservation enquiries, contact Ritec’s travel partner, Baxter Hoare on +44 20 7407 5492 or visit http://www.ritec.co.uk/ritecship14. 24th September 2014 – Leading decorative and architectural glass manufacturer Go-Glass in Cambridge have reported substantial sales growth thanks to the new ClearShield Eco-System™ launched in the UK by Ritec International earlier this year. 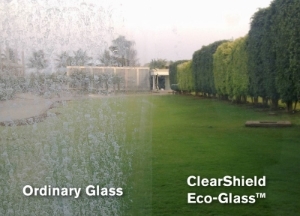 The ClearShield Eco-System™ for the renovation, ‘non-stick’ protection and maintenance of glass upgrades ordinary glass to ClearShield Eco-Glass™ that is always easy to clean and keep clean. 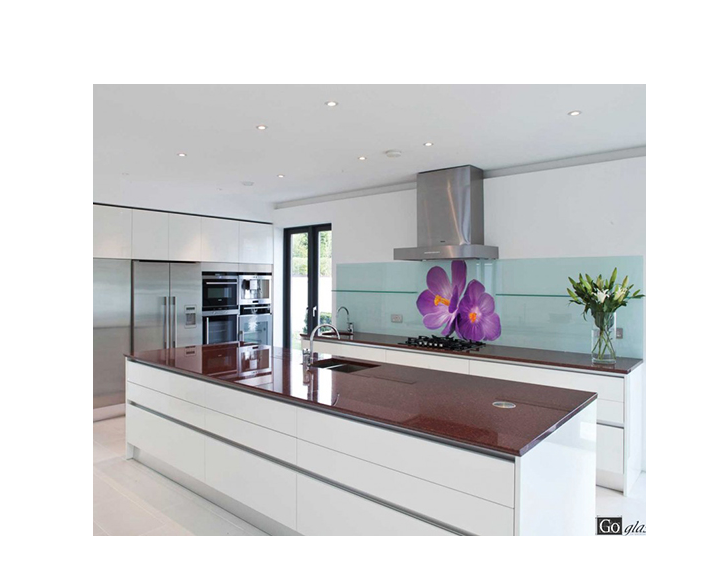 Go-Glass are strong proponents of ClearShield Eco-Glass™, with their customers raving about the easy-clean, ‘non-stick’, sparkling and anti-microbial qualities, especially for decorative glass. They are now promoting it for any external glazing such as balustrades as well as shower enclosures and demand is expected to be high. Go-Glass are also unveiling their latest masterpiece, a magnificent glass structure of an athlete. The runner has been given the title of ‘pushing the limits’ due to Design Director, Clive Sparkes, having recently completed his first Ironman event and Sales and Marketing Director, Tracy Saunders, making an amazing recovery after losing her leg. But this attitude goes further than the people who run the company and is inherent in the company itself, where they have all been pushing the limits with grand projects for the BBC, BAFTA and Hampton Court Palace – all of which have been huge successes. The Go-Glass athlete is the third in a series of glass masterpieces created by Clive. The first was a full-size replica of Carl Fogarty’s 1999 World Superbike title-winning Ducati 996, followed by Lewis Hamilton’s McLaren Formula 1 car, which took over 100 hours to create. Both works of art were auctioned with proceeds going to the Clic Sargent charity. For more information on Go-Glass, visit http://www.go-glass.co.uk.